The death of Emma Sloan from an allergic reaction gave a huge impetus to the campaign. 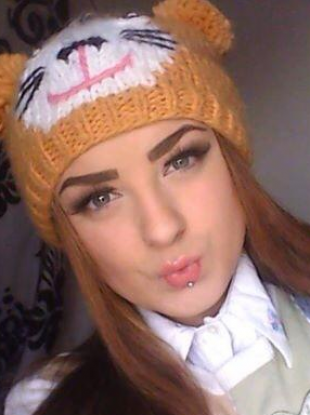 14-year-old Emma Sloan suffered a fatal allergic reaction in Dublin city centre. SOME POTENTIALLY LIVE-SAVING medicines, like Epipens, can now be administered by trained members of the public as part of new laws designed to make them more readily available. The new laws will also allow designated organisations like schools to store the drugs for their use in emergencies. Heath Minister Leo Varadkar says that some of the places where the medicines could be stored include schools, college campuses, workplaces and sporting venues. This is something new. This is the first time we’ve done this in Ireland, the only things that comes close would be the AEDs, the defibrillators you see about the place, and they’re simple to use, they have instructions telling you how to use them and you can’t do any harm. But when it comes to giving medicines you really need someone who is trained. The minister said that many of the colleges and venues they’ve consulted with are very keen to be involved. The campaign to allow Epipens in public areas, like schools, came to prominence following the tragic death of fourteen-year-old Emma Sloan in December 2013. After mistaking satay sauce for curry sauce in a Chinese restaurant she suffered an allergic reaction. Her mother, Caroline, ran to the nearest pharmacy to get an Epipen injection that would have saved her daughter’s life but she was refused because she didn’t have a prescription with her. Varardkar says that pharmacists would now be able to administer adrenaline without a prescription provided the pharmacist has been given the correct training. The Irish Pharmacy Union has welcomed today’s announcement saying that it is something they have campaigned for “over an long number of years”. “It is a clear acknowledgment of the clinical expertise of community pharmacists,” said IPU president Kathy Maher. This new law offers clarity and will allow pharmacists, as the most accessible part of the healthcare system, to play a key role in the delivery of these emergency medicines to patients and members of the public. Along with the announcement on emergency medicines, pharmacists will also be able to vaccinate against pneumococcal infection and shingles from the beginning of next year. In the case of Naloxone, charities that work with drug users have long argued that its wider availability would have the ability to save lives. Merchants Quay Ireland says that one person dies everyday in Ireland from an overdose. Naloxone reverses the effects of opiate-based drugs, such as heroin, and in Scotland can be carried by users or their families in case of an overdose. Today’s law change here means the drug can be administered by trained members of the public. The minister added other drugs could be extended to the above list of six drugs by ministerial order. Email “Life-saving drugs can now be given by trained members of the public”. Feedback on “Life-saving drugs can now be given by trained members of the public”.